Do I need a lawyer for my AZ divorce? How does the Court define a minor child? How long does it take to get divorced in Arizona? How do I get an Arizona divorce by default? How do I get a divorce in Arizona if I have a covenant marriage? 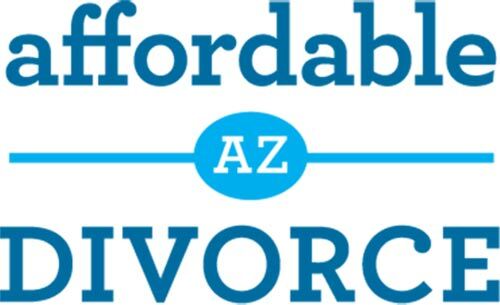 Do I have to live in Arizona to get an Arizona divorce? At least one party to the divorce must have resided in Arizona for 90 days prior to filing for divorce. Do I have to go to Court to get a divorce in Arizona? Can I request counseling before divorce? How does the Court define community property and debt? How do I get an uncontested divorce in AZ? Process Service: How do I serve someone? Math Challenge to Prevent SPAM! We are proud members of the BBB! 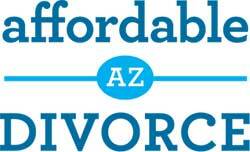 Affordable Arizona Divorce, LLC is not a law firm or a substitute for an attorney, we therefore cannot provide you with legal advice. Any information you provide to Affordable Arizona Divorce, LLC is kept completely confidential and will not be divulged to any third party except by Court order or subpoena.